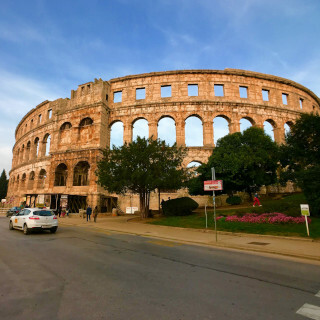 The city of Pula may seem as yet another beautiful city on the Croatian coast, but what differs it from the other cities is the number of monuments dating to the Roman period. Pula was an important Roman colony for several centuries, for which it is sometimes called Little Rome. Istria is the largest Croatian peninsula, but also the largest peninsula in the Adriatic Sea. 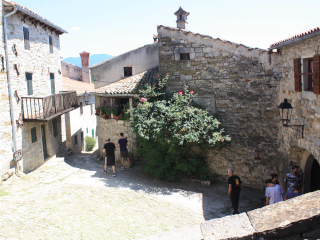 It is known as Little Italy because, for many years, Istria was under the Italian rule, which left its mark on the architecture of the peninsula, as well as on the people of Istria. Along with the rich history and beautiful sea and nature, Istria is full of lovely little towns built in stone. 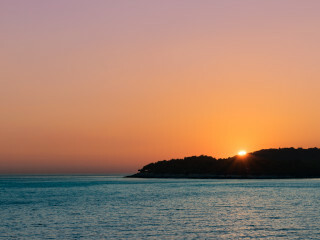 The most well-known cities of Istria are those on the coast – Pula, Rovinj, Poreč, and Umag. But there are also several lovely towns located in the heartland of the peninsula, such as Grožnjan, Motovun or Hum, which is also known as the smallest town in the world. 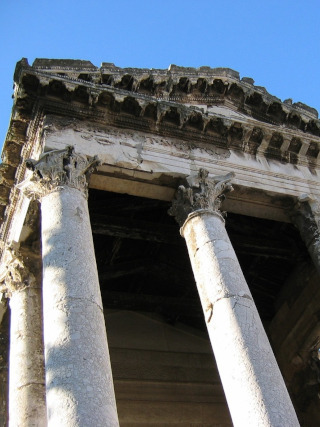 The largest, and the most interesting city, architectonically speaking, is Pula. The city of Pula is one of the oldest Croatian cities on the coast. Inhabited ever since the prehistoric times, Pula became an important Roman colony and port on the Adriatic Sea at the time of the Roman Empire. Until this day, the historical center of Pula houses several Roman buildings, all in perfect condition. Some of those are even among the best examples of Roman architecture in the world. Pula is a city in Croatia, located 250km from the capital – Zagreb. The city of Pula is situated on the coast of the Adriatic Sea, on the south of the peninsula of Istria. Although Pula is not the only Croatian city where you will find the “reminders” of the Roman period, it is the one with the most diverse and unique examples of the Roman architecture in the region. The most widely known attraction and the “trademark” of the city is Arena of Pula. The Arena is a Roman amphitheater, which is considered to be one of the best-preserved ancient amphitheaters in the world. It was built during the rule of Emperor Vespasian, in the 1st century, at the same time as the Colosseum in Rome. It is an elliptical construction, about 130m long and 100m wide. The central part, called the arena, is where the gladiator fights took place, and the stone gallery is where the spectators would sit and cheer. It is believed that the Arena could once seat about 20.000 spectators, while today it only has about 5.000 seats. Beneath the surface, the underground passages are located. 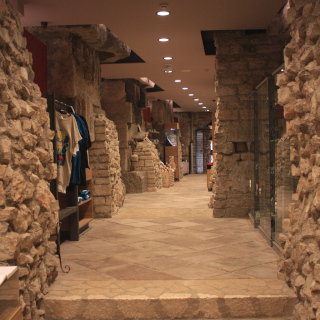 They were once used by the gladiators, but today they hold an exhibition and a souvenir shop. 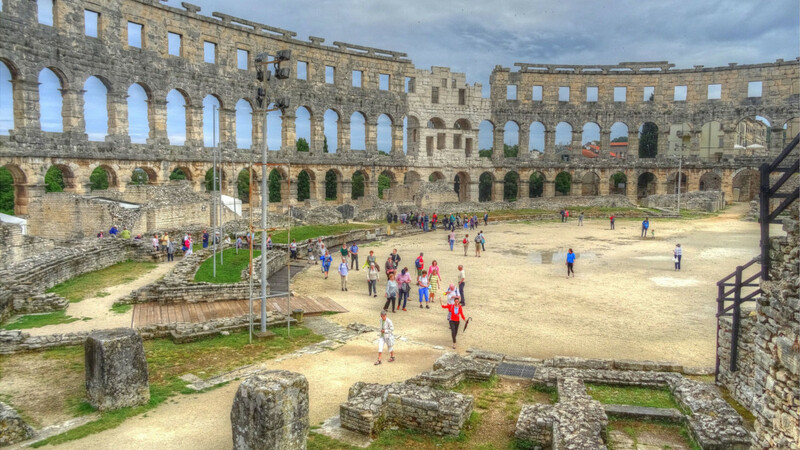 Arena of Pula is not only a historical monument and tourist attraction, but it is also the venue for many different events, such as concerts, festivals, theatre and film screenings, as well as Gladiator fights, a historical spectacle that is held in Pula every summer. In ancient and medieval times, the city of Pula was surrounded by walls and had about ten city gates. In the 19th century, when there was no more need to defend the city, and when the city began to expand, surpassing its limits, the walls became unnecessary and were pulled down. Only a small part of walls was left intact, along with two gates, which have been preserved until today. These are the Twin Gates and the Gate of Hercules. The Golden Gate, which used to be the main entrance to the city, was also torn down. Only an Arch, built to lean against the city gate, remains on the site. 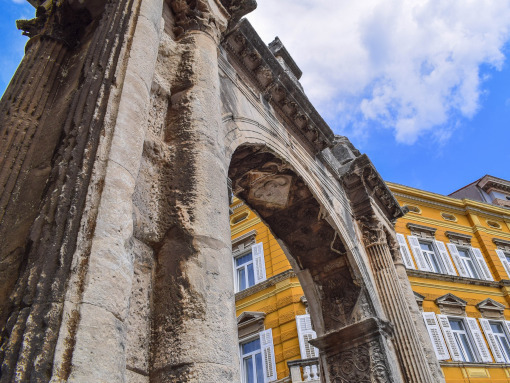 The Arch of the Sergi, often called “Golden Gate”, is an arch built in honor of the Sergi family, the influential local family whose members held important positions in the city at the time. The Arch was built in the 1st century BC and was leaning against the main city gate, the Golden Gate (Porta Aurea). The Arch was constructed in Corinthian style with Hellenistic influences. The town side of the Arc is richly decorated, while the side that was leaning against the Golden Gate is not as rich in decorations. 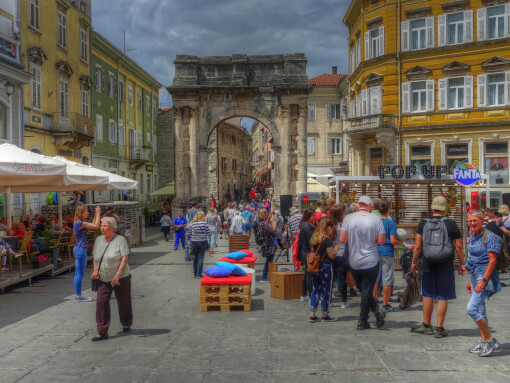 Today, the Arch of the Sergi is one of the most recognizable symbols of Pula and one of the main meeting points for both locals and tourists. On a hill in the middle of the city, the remains of an ancient Roman theater were found. This was the so-called small theater. The large theater one was located outside the city walls, but it was not preserved. 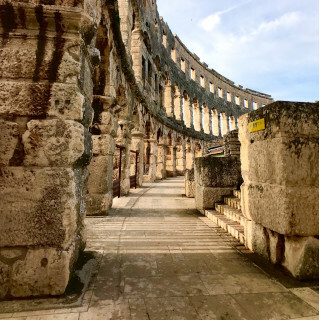 The fact that Pula had two theaters in addition to the Amphitheater speaks of the importance and rich cultural life of the city during the Roman rule. The theater has a typical appearance of Teatro Romano, with the semicircular shape, flat scene, and stone-built section for the audience. Just above the Roman Theater, on the top of a hill, the Castle of Pula is located. It is a star-shaped fortress with four bastions, built by the Venetians in 1630. Since Pula was an important harbor at the time, the Castle was erected to protect the city. It is believed that there was an earlier fortress dating from the pre-Roman and Roman period on the same site, which also had a defensive purpose. Nowadays, the Castle houses the Historical Museum of Istria. 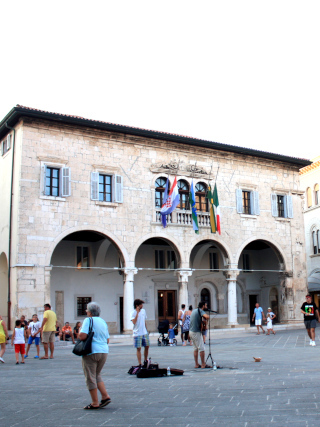 The museum holds over 40.000 artifacts dating to the different periods of the Istrian history. Among the other, these are the collection of old postcards, maps, arms, uniforms, and maritime equipment. At the foot of the hill, between the hill and the sea, the main Roman square is located. The Forum Romano, as it was called, was the center of city life – the religious, administrative, legislative and commercial center of the colony. The same role Forum has preserved until today. 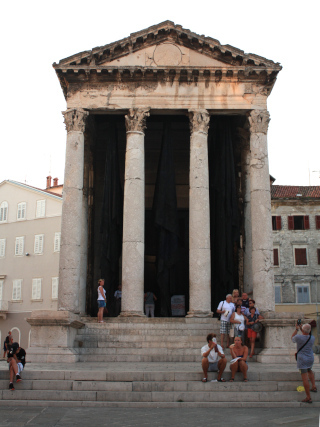 The most significant building on the square, which also dates to the Roman period, is the Temple of Augustus, a typical Templum Romano built at the very beginning of the 1st century. The temple we see today is only a reconstruction of the original temple. In World War II, the Temple was hit by a bomb and completely destroyed. Several years after the war it was reconstructed and turned into a small museum which houses a collection of ancient sculptures. Pula is accessible by car, bus, boat or a plane. If you decide to take a boat, you can get to Pula from Venice (Venezia Lines or Adriatic Lines) and Trieste (Trieste Lines). Otherwise, you can hop on a bus and get to Pula from Zagreb, Rijeka, Ljubljana or any other city (Flixbus). If you are arriving in Pula by car, it will take you approximately 3h30 to get there. The directions are very simple, and the road is good, although it can be a bit slow due to the increased traffic in high season. Take the highway A6 from Zagreb to Rijeka, following the signs for Rijeka/Pula. After passing Rijeka take the exit for Pula/Pazin/Opatija. Keep following the road and the instructions for Pula. You will need about 5h30 to reach Pula from Split. Please note that in summer months it could take you a bit longer, due to the increased traffic on Croatian roads. After leaving Split, take the highway A1 for Zagreb/Rijeka. Follow A1 all the way to Bosiljevo and, next, get on A6, following the instructions for Rijeka/Pula. After passing Rijeka take the exit for Pula/Pazin/Opatija. Keep following the road and the instructions for Pula. In less than 3 hours you can reach Pula from Ljubljana, Slovenia (depending on how long you will wait to pass the border). Take the highway from Ljubljana to Koper and then exit at Koper following the instructions for Pula/HR. Follow the road to the border crossing Dragonja and then continue to follow the instructions for Pula. The closest airport is the Pula Airport, located just outside the city. as well as Rijeka Airport is also very close. Your other options are airports of Rijeka (located on the island of Krk), Zagreb and Ljubljana, all just a few hours’ drive from Pula. The city of Pula offers all kind of accommodation. Centrally located are mostly smaller boutique hotels, while bigger hotels and resorts are located just outside the city center. Located just 2 minutes on foot from the Arena of Pula, Hotel Amfiteatar has a perfect location for exploring the city. It is a small contemporary hotel with 18 rooms and with a full service at your disposal. Each room has a private bathroom, air conditioning, Wi-Fi internet access, and a satellite TV. The breakfast is included in the price, but there is also a restaurant on the site if you are interested in including other meals as well. A great advantage of this hotel is a private parking space. The Hotel Scaletta is a centrally located hotel, housed in an old Austro-Hungarian palace, only a few minutes on foot from the Arena. The hotel has 12 rooms, each with a private bathroom, air conditioning, TV, and a safe. Breakfast is included in the price, but guests will also have other meals at their disposal since the restaurant is situated on the ground floor of the hotel. The hotel doesn’t offer private parking space, but there is enough space to leave your car close to the hotel. Since the city center is more for the history lovers, if you are looking for a holiday on a sea, consider staying outside the town, since that’s where the beaches are. Istrian cuisine is as good as Istria is beautiful! Although they are both a variation of the Mediterranean cuisine, the traditional food of Istria differs from the Dalmatian cuisine. 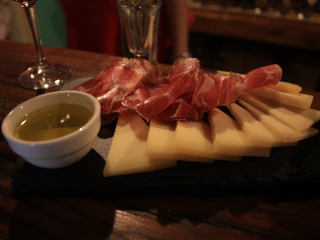 Fish, squid, asparagus, truffles, pasta, and prosciutto are just some of the ingredients used in Istria. Located in the city center, near the Temple of Augustus, the Valli Delicious Authentic Food & Bar is a modern restaurant that serves traditional food combined with unusual spices and innovative ways of preparing the food. By using only fresh and seasonal ingredients, the restaurant is trying their best to surprise you with the presentation of the food on your plate! Mediterraneo Restaurant is a centrally located restaurant that serves local cuisine, Mediterranean cuisine, and seafood. But, if you are more of a meat person, they also have a barbecue and grill. The portions here are as tasty as they are generous, and you can enjoy your meal on a terrace in the middle of the town, just down the street from the Temple of Augustus. The best souvenirs are those that you can truly enjoy with all your senses. 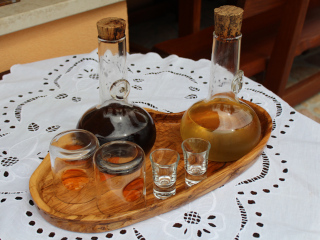 So, instead of a magnet or a postcard, consider buying a bottle of fine Istrian wine or olive oil. 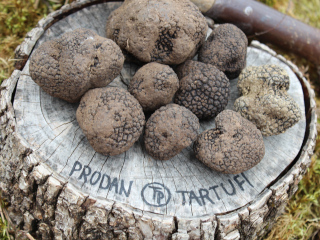 A pack of truffles or famous Istrian prosciutto will also be a nice present for your friends and family. The entire peninsula of Istria is a marvelous land full of picturesque towns, beautiful nature and lovely coast. Below are some destinations that you can visit during your stay in Pula, but literally any town you pick will do! Just 15 minutes from Pula there is a port of Fažana where you can embark the boat and visit one of the most beautiful sites in Croatia – the Brijuni National Park. The Brijuni is a group of islands famous for its natural beauty and for being the Summer Residence of President Marshal Tito. Today, the Brijuni National Park houses several hotels, a safari park with exotic animals, several archeological sites from different historical periods, a museum and an educational center. The ticket for the national park includes a boat ride, touristic train, and a local guide. The city of Rovinj is one of the most beautiful cities in the Adriatic Sea. The old town, that is nowadays a popular tourist destination and a monument of culture, was first situated on an island, which as later connected to the mainland and turned into a peninsula. The old town of Rovinj is a typical Mediterranean town, crowded with narrow stone houses, narrow streets and small squares, all of which make it a lovely and picturesque town it is today. The Church of St. Euphemia dominates the peninsula, along with its bell tower, as it rises above the houses and the roofs. Rovinj is only 40 minutes away from Pula and is definitely worth a visit. Another historical town on the Istrian coast and another popular tourist destination is Poreč. The city of Poreč is most widely known for the 6th-century Euphrasian Basilica, one of the several UNESCO World Heritage Sites in Croatia. Alongside the magnificent basilica complex, there are several other sights in the historical center of Poreč that are worth a visit. 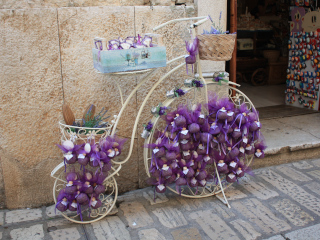 The inevitable Mediterranean architecture and traditional Istrian restaurants and souvenir shops are yours to be explored. Located less than an hour from Pula, Poreč is a perfect day-trip destination, if you have time to spare. The town of Hum, located in the interior of the peninsula, about 80km from Pula, is known as the smallest town in the world. Hum is, in fact, one of the rare examples of a medieval town that hasn’t spread outside the city walls. The appearance it has today, the town got back in the 11th century. The town of Hum consists of only three sets of houses and you don’t need more than 20 minutes to see the entire town. But there is still something magical here that attracts tourists to visit it and to love it. Marzito organizes day-trips or transfers to Pula from Zagreb, Split, Ljubljana, or any other town. Explore our offers here.